Understanding the essence of a problem is one of the key attributes that Vivienne brings to both her treatments and training. It is this ability that enables her to make the appropriate links between the current illnesses and / or disease that the client presents and the accumulated environmental and emotional stressors. Her ability to encourage people to participate in their treatment is a pivotal part of the process. She does this by giving practical links in which they can move successfully towards their health goals. 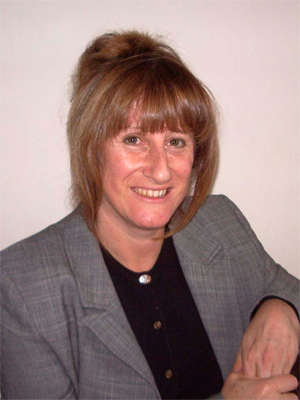 Since 1994 Vivienne has worked as a registered integrative complementary practitioner and has dealt successfully with a wide variety of medical issues. Since then her passion for excellence and making a difference has resulted in her utilising Cosmodic Technology as her main mode of therapy. Her training in health and beauty culminated in her being employed as a beauty consultant for a prestigious cosmetic house in the south of England. Her aspirations for developing further brought her to London where she was able to train further in this area and gain first-hand experience in the company’s research and development laboratories. She returned to the front line where she successfully managed a health and beauty department in one of London’s West End high end stores. Here she had clients from ‘A’ list celebrities’ to a number of England’s aristocracy and royalty. In addition she was formally invited to work with these clients privately at prestigious Harley Street Clinics and client’s homes around the world. In 1988 she moved in to her own private practice where she focused on health and beauty treatments. She studied iridology with Emile Juste and his wife, an acupuncturist who introduced this modality to the UK from Switzerland. Vivienne spent many months assisting them on their travels with lectures and studying at their practice in North London. In an attempt to maintain her quest for knowledge Vivienne has attended many workshops and lectures with eminent physicians, philosophers and healers. Vivienne also spent much time listening and observing the practices of certain spiritual leaders of the day throughout the eighties and ninety’s. Her skill is her attention to detail. Formerly having been involved in a very successful fashion house where she learned many of her skills of working as part of a team, listening and observing and applying her talents to the job in hand. In 1993 she began using her hands performing her healing and recovery through massage, acupressure and moxa-bustion. She studied osteopathic support and advanced techniques with some of the most advanced methods of the time. As her interest and practice grew she became more interested in nutrition appertaining to recovery. Having herself recovered and others close to her, from certain life threatening conditions she became passionate about sharing her experiences with others who may be interested and she studied further to increase her abilities in helping others gaining a number of useful qualifications, to mention but a few, a teaching degree, further levels of nutrition. The year 1999 was an interesting year for her as after several years of studying psychotherapy she was invited to assist in the role of production supervisor to local groups where she provided “Life Training” workshops. She was invited to remain and join the resident staff but declined due to other commitments in her own practice. This enlightened her philosophies and she was able to integrate them into her clinical practice, which began to attract people from all walks of life. Vivienne has been treating people with SCENAR and subsequently Cosmodic since 1999. She is one of the first registered complimentary practitioners to be using this technology in private practice in the UK. Vivienne completed training with the Scenar Training Center in Salisbury Hants UK, the first pioneers of this technology to become known to the West. She then consolidated her training by providing assistance to doctors in their affiliated clinic in Salisbury Hants. In 2001 she was introduced to Alexander Karasev, the founder and inventor of the above technology and was invited to Russia in 2001 to retrain in his state of the art technology and is now his official representative outside of the Russian Federation. Vivienne and her team travel widely and in association with LET Medical they train doctors, neurosurgeons as well as the layperson worldwide. Some of the clinics she has worked in have been as far afield as Turkey, the Middle East, America, Austria, Germany and Mexico. She also takes the opportunity regularly to spend much needed time in Russia with the team and works collaboratively with LET Medical in identifying problems and is an active member of the Russian team in research and development. This has involved her learning from other complementary professionals i.e. acupuncturists and reputable medical professionals such as professors in gynaecology and rheumatology. Cosmodic technology has given Vivienne a greater understanding of the body in the process of recovery. She has shown consistently that given the corrected data, rest, lifestyle and nutritional intake the body is able to recover beyond the person’s current expectations in a way that has never seen before. Vivienne now offers the unique opportunity in sharing her knowledge to others be they home users or medical professionals (whatever the device)in how to deal and help with the process of recovery.